The Samsung S22D300HY is a cheap basic 21.5″ monitor. You might want to consider going for a bigger screen, I tend to think 24″ is the minimum for gamers but if you like a smaller screen or just have a small desk then here’s a low cost option to take a look at. It could be worth taking a look at the larger version. The Samsung is a fairly basic design, but then it is targeted at the lower end of the market so as always you get what you pay for. There are no VESA mountings for example so you are stuck with a stand that some owners feel is slightly wobbly. The monitor itself has a black glossy finish which is smart enough, the thick bezels might be a turn off for some but you’ll have to spend more to get a borderless type design. Inputs include VGA and HDMI, the latter is useful as it means you can plug in a console, or FreeView box. Owners of the monitor report back satisfactory colour reproduction and gaming performance. The TN panel will give decent response times but suffers from poor viewing angles. It should be noted that many of the user reviews point out that performance is as good as expected ‘for the money’. In other words, if you are looking for a premium screen at a bargain price you might be a disappointed. On the other hand if you are looking for something cheap that will do that job, you might just be looking at your new monitor. We give the Samsung S22D300HY a 4 out of 5 rating. Want to know what existing owners of the monitor think? You can read real user reviews here. 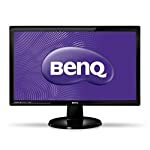 Should I buy the Samsung S22D300HY? The S22D300HY is a cheap low cost monitor and as such you get what you pay for. It's a standard 1080p small screen without the premium gaming technology found elsewhere. But then at this price, what do you expect! If you are having some doubts about this purchase then why not read some real owner reviews and see what other buyers think. Welcome to the Samsung S22D300HY FAQ. This section attempts to answer common questions you may have, please get in touch if you have any more queries or if you think our answers need updating. Is an HDMI cable included? Doesn’t sound like one comes in the box, you’ll have to order one separately or use that spare one stuffed in the drawer.